I can see now why Slenderman has grown in popularity over the past few years. The idea of a tall faceless man stalking you in the fog, stealing children and murdering adults is horrifying to say the least. 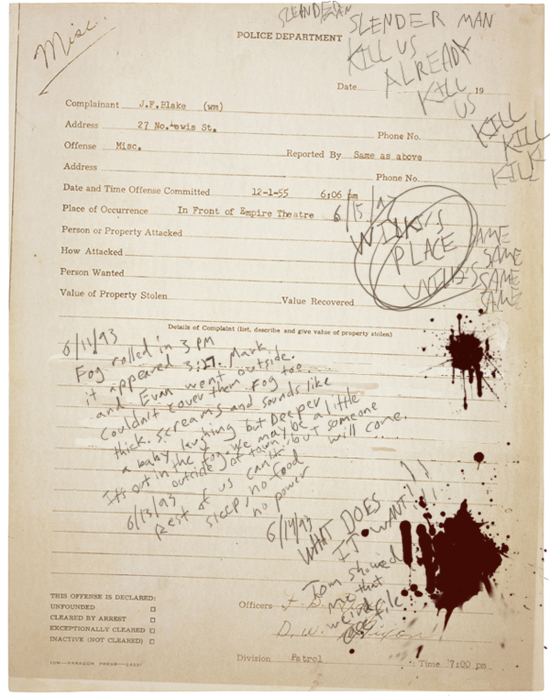 The first mentions of Slenderman were on somethingawfulfourms.com, by Victor Surge on Feb. 2, 2006. 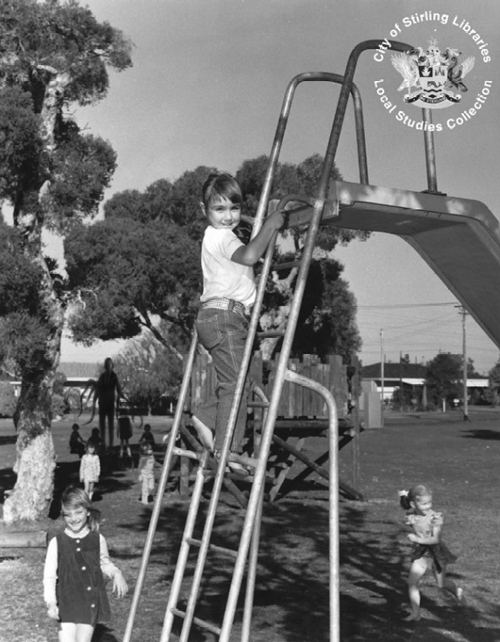 Evidence was brought to light about Slenderman after years of it being covered up. Photos recovered from a library fire in show a man in a suit watching children from the shadows. The picture was taken the day that fourteen children disappeared from Stirling City. Officials claim that the deformities in the film are defect and nothing else; the library fire occurred one week later and the photographs where taken as evidence. The photographer, Mary Thomas has been missing since June 13, 1986. 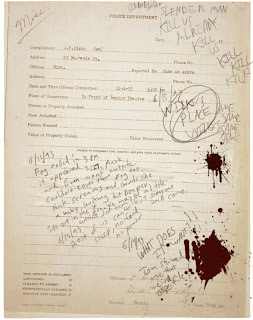 Victor Surge also posted a police report that seems to be from the fifties that involves frantic officers talking about Slenderman coming to kill and terrorize them. 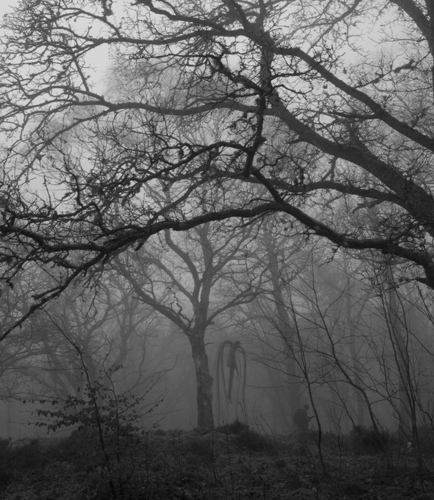 Slenderman stays in the fog and stalks his victims, impaling them on high broken tree branches and lets them bleed out. His takes out all the major organs, places them in plastic bags and replaces them back into their spot in the victims bodies. What he does with the children he steals is unknown. The remains of his other victims have been only found by chance and the lucky few who got away from him when they found his secrets. Since the original postings of Slenderman on the something awful fourms, many others have come out with their own evidence or sightings. http://www.mythicalcreaturesguide.com/page/Slender+Man Has the whole description of slenderman and mostly of what he does, but I want to know more, where does he come from? What are his Motives? I'll have to dig further into it. For now there is some pretty good evidence that Slenderman exists, but with the way people talk about him, and everyone that has tried to bring him to light with credible evidence, has disappeared, I had better watch my back.